The Soyuz 2.1a rocket used for other Russian spacecraft missions is now the one used to launch all Progress cargo spacecraft. It allows to insert a spacecraft into an orbit with greater precision than the previous versions of this rocket and that’s why the Russian space agency Roscosmos wanted to experiment an ultra-fast track with the Progress MS-9. 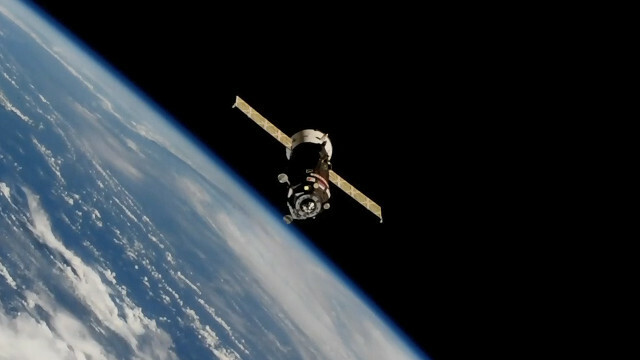 In the past, both Progress cargo spacecraft and Soyuz manned spacecraft traveled to the International Space Station in a fast track, completing four orbits for a duration of about 6 hours experimented for the first time in 2012. With the new ultra-fast track, the cargo spacecraft completes two orbits for a duration of about 3.5 hours and this requires even more precise maneuvers. The Progress MS-9 cargo spacecraft is carrying a total of almost 2,500 kilograms (5,500 lbs) of various types of supply including food, water, air, oxygen, propellant and more such as a series of products for the International Space Station crew, various science experiments, tools and various hardware. Among the experiments there’s the Plasma Kristall-4, a collaboration between Roscosmos and ESA to study the behavior of tiny dust particles in a tube full of neon and argon to simulate the movements of atoms. This is because in that environment they’ll acquire an electric charge like atoms in a fluid state and in a microgravity situation they will not fall to the ground. The mission of the Progress MS-9 spacecraft is substantially accomplished. In fact it can’t return to Earth so it will be filled with hardware failed or otherwise become unusable and assorted junk and will disintegrate returning into the Earth’s atmosphere. This mission epilogue will probably take place in late August 2018 but the exact date depends on various factors. 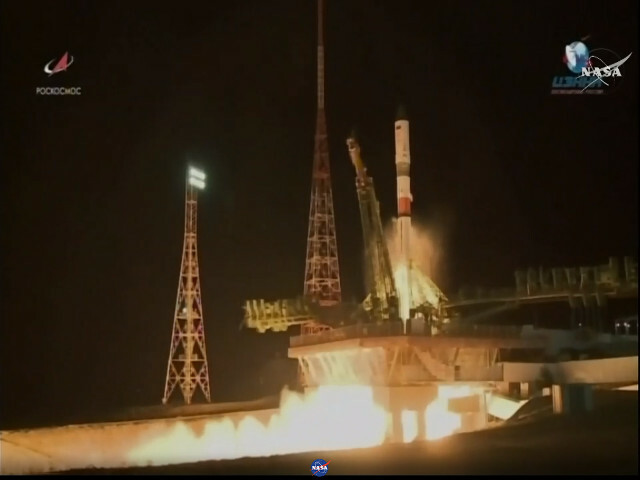 For the moment, there’s the success of the journey on the ultra-fast track after two attempts that were aborted due to rare problems in launches of Soyuz rockets. This track will be tested again several times with the next Progress space cargo ships, with the final aim to use it with the Soyuz manned spacecraft to transport people to the International Space Station as quickly as possible.